I dont know about you, but I’m a late night bird. I sometimes struggle to sleep before midnight, hence the fact that I was a wreck today when my friend called me early in the morning to invite me for a coffee at the seafront. I rushed out of my bed, wore my most comfortable clothes (aka tracking pants) and headed to the beach. After two hours of long discussion we popped into the shopping centre, where I found these beauties. Red is my latest obsession, I can wear it all day long from a morning in the office until a girls night out. I couldn’t resist but buy the entire make up set, including the lipgloss, nail polisher and eyeliner. 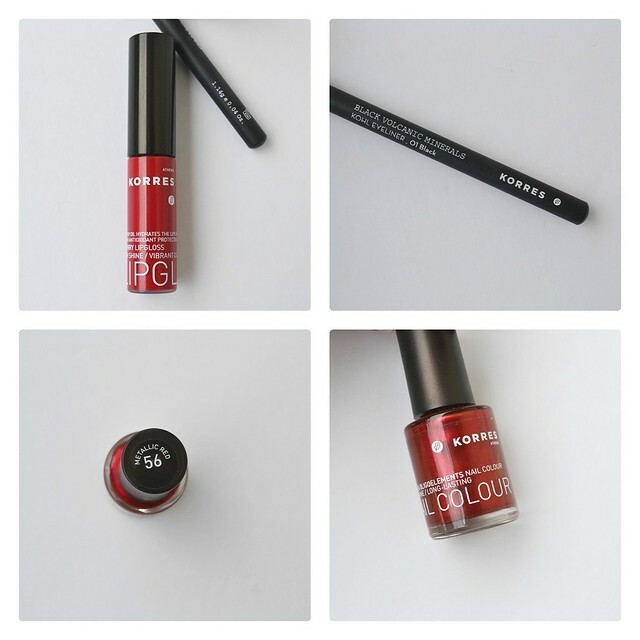 The lipgloss has a lovely application and lasts for a long time on my lips,while the pencil helps me create a curly line and is easy to remove as well. 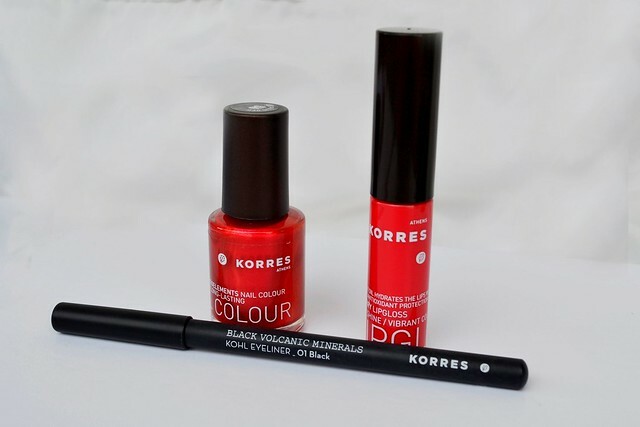 All in all I am very satisfied so far and seeing bloggers all over the world buying Korres I wanted to give it a go. Did I regret it, not at all. 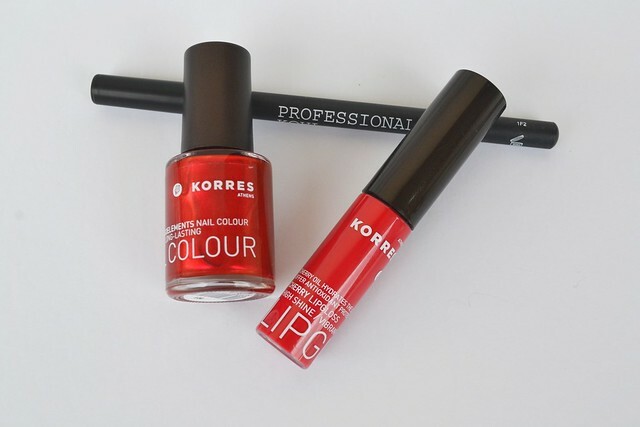 Would I recommend Korres products? Definitely!